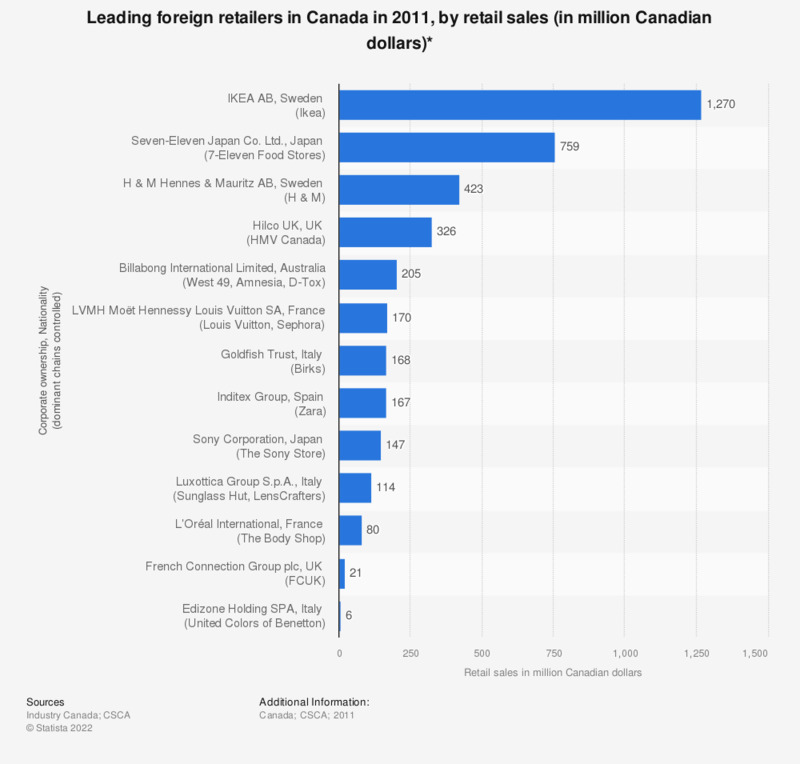 This statistic shows the leading foreign retailers in Canada in 2011, by retail sales. Swedish company H & M Hennes & Mauritz AB, operator of the clothing retail chain H&M, was the third largest foreign retailer in Canada with retail sales of approximately 423 million Canadian dollars. Do you expect to offer voice-assisted shopping to consumers within now and three years?